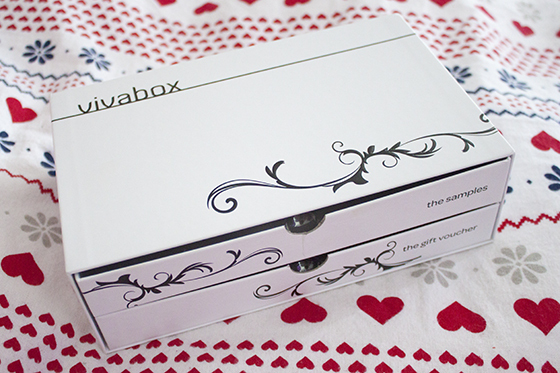 Vivaboxes are THE perfect gift solution for Christmas. When the press release for this hit my inbox I thought it was possibly one of the best gift idea's I'd been sent so far. 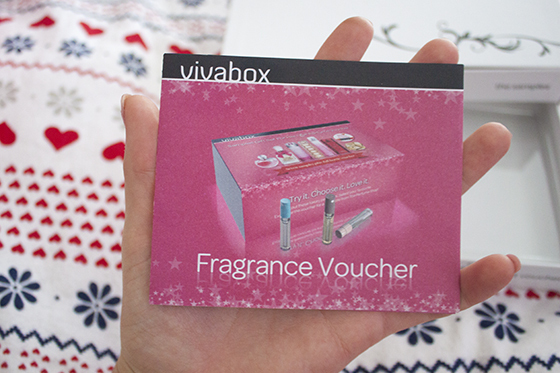 The Vivabox is a nicely presented selection of seven sample vials and one voucher that can be exchanged for a full size (30ml) perfume at any of The Perfume Shop 246 stores. I love how the sample vials add versatility to the gift which in turn makes it much more personal for the person receiving it as they can pick the full size perfume themselves. 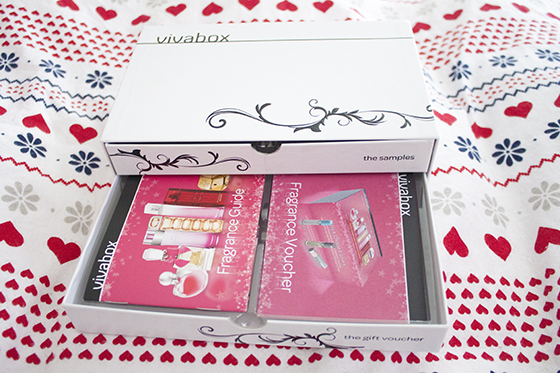 The seven perfume samples included in the female Vivabox are Boss Orange, Elizabeth Arden Red Door, Givenchy Very Irresistible, Juicy Couture Viva La Juicy, Lacoste Touch of PInk, Paco Rabanne Lady Million and Nina Ricci Nina. 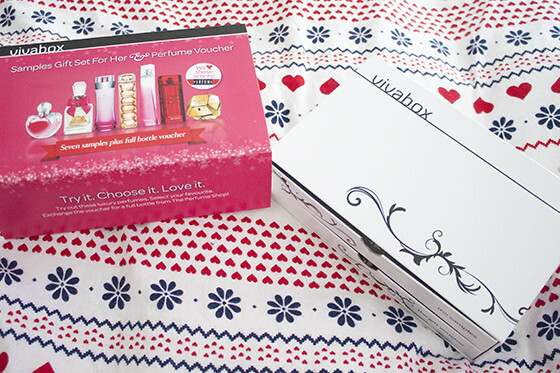 I've tried a few of these perfumes (Viva La Juicy is one of my personal favourites!) and I do think it's a decent varied selection of different scented perfumes so hopefully there is at least one that catches you recipients fancy! I don't think the packaging is amazing, but it's not hideous. It's very suitable for most ages and I do actually quite like the pull out drawer system. These retail for £35 for the woman's box and £37 for the mens box. Which I think is a pretty good price for the box. 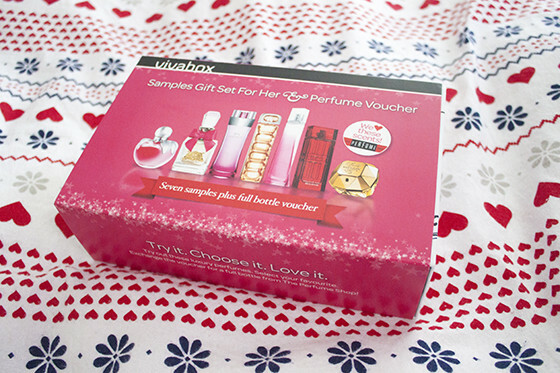 Although I will say that most of the perfumes in the box retail for around £25. However this gift gives you a bit of safety as the person getting the gift can actually choose which one they want to get. I really do genuinely think this is an amazing gift idea as I know I've been given perfumes for Christmas that I'd never in a million years wear. I think this is the perfect perfume christmas gift set. At least here you get to give someone the chance of trying out seven different ones with the hope of them liking at least one of them. I'd absolutely love to get this as a gift and I know that I will be buying at least one person I know one of these!